The Embroidery Network Foundation (ENF), a 501(c)(3) entity, established by the National Network of Embroidery Professionals, is designed to provide a channel for the commercial embroidery/apparel decoration industry to respond to persons in need. The focus of the Embroidery Network Foundation is the collection of and distribution of new clothing to women's shelters and responding to those in need when they are faced with national or natural disasters. *232 Pounds of new apparel and products were collected at Embroidery Mart-COLUMBUS in February, 2015 and then processed and shipped to women's shelters in New York, North Carolina, Mississippi and Wyoming. *170 Pounds of new apparel and products were shipped to shelters in Ohio, Michigan and Indiana in January, 2014. *214 Pounds of new apparel and products were shipped to 6 shelters in Ohio, Michigan, and Pennsylvania as a result of the DoDuds Apparel Drive help in Columbus, OH at Embroidery Trade Show in February, 2013. 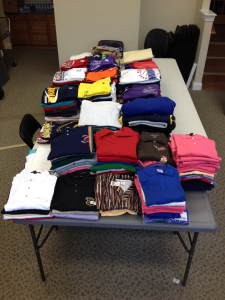 * 190 Pounds of new apparel and products were shipped to 4 shelters in Ohio and Indianapolis as a result of the DoDuds Apparel Drive held at Embroidery Mart in Nashville in July, 2012. 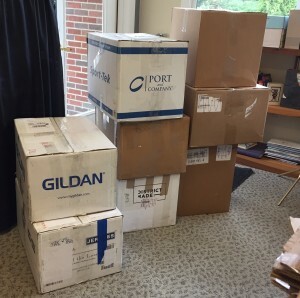 *80 Pounds of new clothing was shipped to 3 shelters on August 25, 2011 as a result of the DoDuds Apparel Drive held at Embroidery Mart-EAST in Nashville. 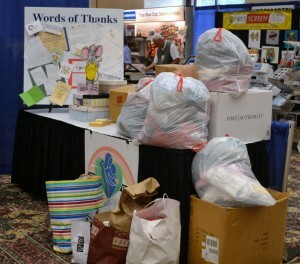 *117 Pounds of new clothing was shipped to 4 shelters on July 7, 2011. * Clothing Donations - The commercial embroidery industry represents a resource of new clothing, such as samples, mis-marked inventory, and over-runs, which can be donated to those in need. TO DONATE: Ship your NEW blank or printed items to ENF, 4693 Kent Road, Kent, OH, 44240. The DoDuds program accepts all apparel items and bags. We respectfully request that baseball caps not be donated, as the facilities do not pass these on to their families. * Embroidery Supplies and Equipment - Through the ENF, embroiderers can contribute embroidery supplies and equipment to assist fellow shop owners who have experienced unforeseen damage in a disaster. * Financial Donations - Monetary donations are fundamental to meeting the goals of the ENF. They allow the Foundation to reach beyond the existing supply of donated new clothing to meet the specific needs of a shelter, family, school or other entity needing help. 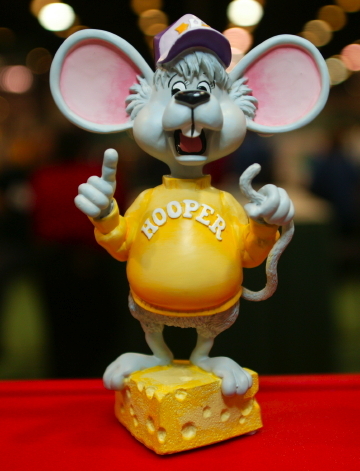 Proceeds from the sale of the Hooper Collectible Figurines also expand the endeavors of the Foundation. A volunteer Board and staff administer the ENF. Therefore, one hundred percent of all financial contributions go toward meeting the goals of the ENF. All clothing is inventoried upon receipt and upon disbursement. All persons contributing to the ENF are mailed an acknowledgment of their donation. 100% Of cash donations are used to cover shipping expenses to send the donated goods to the facilities where they are needed. * DoDuds - This is a NEW clothing collection drive, held at NNEP events, for women's shelters. All collected goods are inspected, sorted and shipped to women's shelters throughout the country. * Hooper Collectibles Figurines Program - This is a fundraising vehicle for the ENF. The Collectibles are available for purchase at all NNEP events and may be purchased by mail. Funds raised are used to cover the shipping costs to get the goods collected in the DoDuds drives to the women's shelters. * Disaster Relief Program - This program was established in response to the Hurricane Katrina Disaster and will remain in place to meet on-going and future needs. The Disaster Relief Program collects new clothing and/or purchases requested items for persons or groups with whom the ENF is working. Harmony House is a shelter for homeless men, women and children located in Mansfield, Ohio. We serve around 500 homeless persons per year, and their needs are numerous. We didn't know if we would be eligible to receive clothing donations for the homeless of our community. Dallas Lighthouse for the Blind is a 501C3 non-profit company, who's is always looking to work with and / or support fellow non-profit organizations.